KANSAS PHEASANTS COME IN STRONG! Another year and another forecast for the pheasant hunting here in Kansas. Come and experience our WILD PHEASANT hunt here at 10 Gauge! As a result of increased breeding populations and excellent nesting conditions, pheasant hunting this fall is expected to be similar to or improved compared to 2015. Kansas continues to maintain one of the best pheasant populations in the country and the fall harvest will again be among the leading states. From what we see here at 10 Gauge – the numbers do not lie. The pheasants are all over the place and continually seem to get stronger. Join us on a truly WILD PHEASANT hunt here in Kansas! 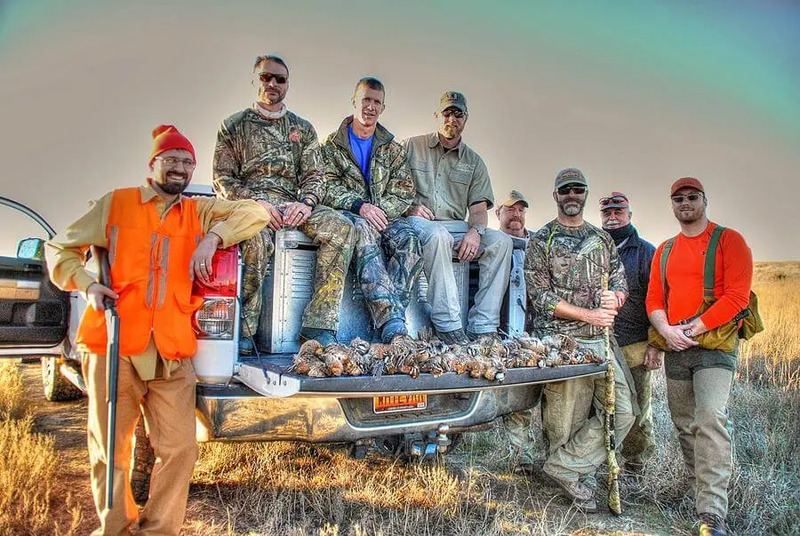 Quail Numbers EXPLODE – Get Ready for an AMAZING YEAR OF HUNTING! Kansas maintains one of the best quail populations and the fall harvest will again be among the best in the country. Opportunities should remain good throughout the state this year, with the best opportunities in the South Central Prairies and Southern High Plains regions. The brood survey indicated that there was nearly a 94 percent increase in the density of quail in the region this summer. While other regions may have pockets that hold higher densities of birds, the intermixing of rangeland, CRP, and crop— paired with more consistent woody structure—results in more consistent opportunities in the Southcentral Prairies. Here at 10 Gauge Outfitters the Quail numbers are outstanding! We can not go through fields without bumping a covey or two. Even the photo above was from a client this last week, we were looking for a whitetail during our Early Season Muzzleloader hunt and saw this covey of 20+ Quail. If you have ever planned on hunting Quail and Pheasant on the same hunt, this is the year you do not want to miss! Words can not describe the amount of birds we are seeing here in Kinsley! 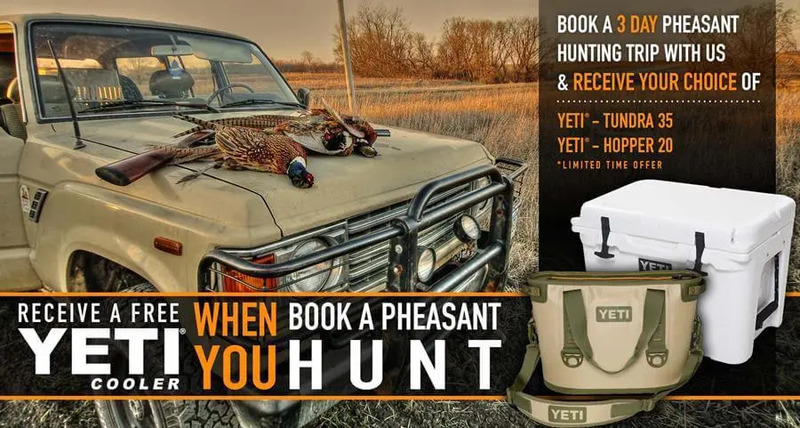 FREE YETI COOLER WITH HUNT – ENDING OCTOBER 1st! Check your calendars – October 1st is just around the corner and if you haven’t booked your pheasant hunt here in Kansas yet, now is the time. We have had a great response in the bookings for our pheasant/quail hunts here at 10 Gauge, there are still a few great dates of hunting left. Book your hunt today with 10 Gauge Outfitters, Get your choice of a free Yeti Cooler. That’s right a FREE YETI cooler comes with your upland game hunt. This has been a great way for our clients to get some great gear back in appreciation for their stay and hunt here at 10 Gauge. 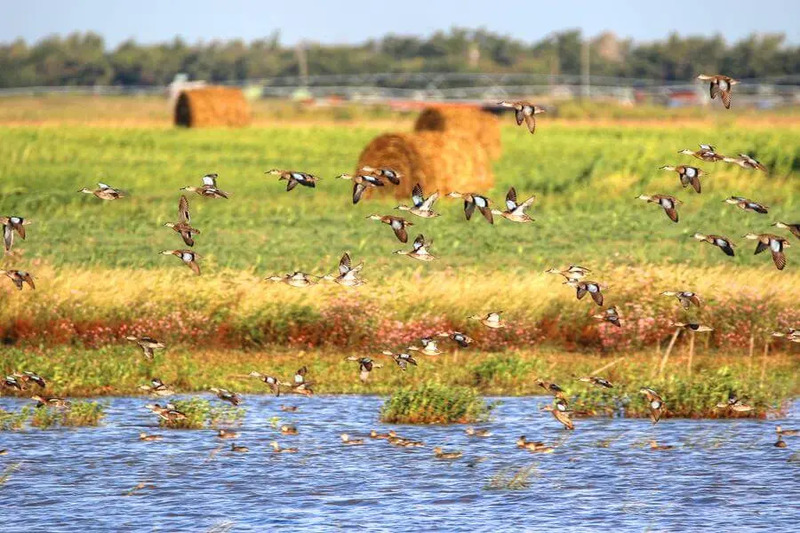 Thousands of TEAL – PINTAIL – GADWALL – MALLARDS! The duck hole is crazy full of these ducks. This photo was taken this weekend here at the lodge from the duck hole we have on our hunting property. Not many know, but you should know that not only can you come out and do some upland bird hunting, we do have a duck hunting hole for those who want to take part in some waterfowl hunting. The population here has grown vastly over the years and is truly something to see first hand. Simply amazing!